I've got an awesome Pinterest success to share as well... I have been weary of maxi skirts and dresses, since the fabric tends to cling a bit and I'm not in the best shape of my life... But I really wanted a comfortable/casual maxi skirt to wear on our trip to Tahoe this weekend. I decided to give it a try, especially since my mom has a serger, so I could finish the seams nicely. I used this tutorial - I used 2 yards of tile blue jersey fabric from Joann's, I got it on sale for 6.99 /yd plus I had a 15% coupon, the total was $13. It took about an hour and a half from start to finish and it's extremely comfortable. I am seriously making several more. I might even try a knee length one. We've spent the past several days enjoying part one of our 2012 Summer vacation, in Utah with my family. 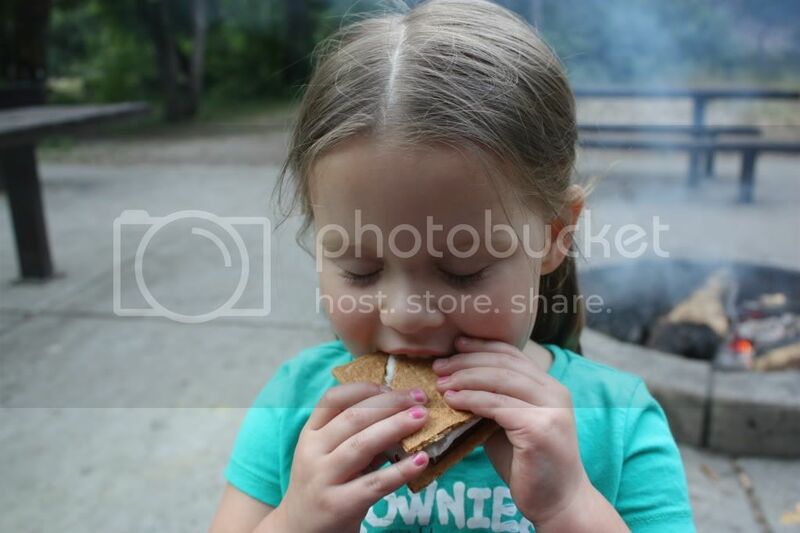 We spent one evening up in American Fork Canyon, roasting hot dog and marshmallows, playing games and fishing. 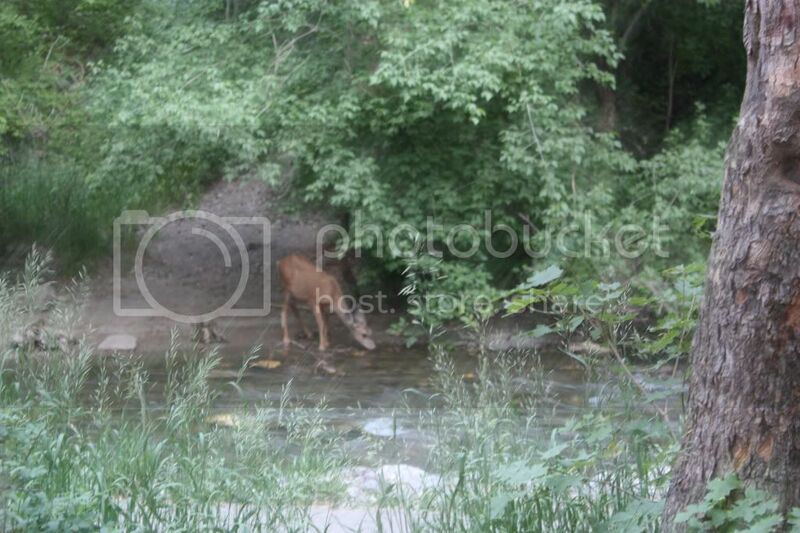 We turned around and were lucky enough to see this young deer taking a drink from the stream behind us. It was a good thing we decided to go Monday, because Tuesday afternoon, a fire started on the mountain just north of the canyon and it was closed. We watched the fire burn for a couple of days, until Thursday morning when the heavens opened and poured out rain for several hours. I'm so glad the fire stayed at bay and we were able to enjoy our 4th of July.